This Liberty 1-3/8 in. Satin-Nickel Double-Beaded knob is easy to install. The beaded detail can make a beautiful statement in any bathroom or kitchen. Installation hardware included. 1-3/8 in. Double Beaded Knob This Liberty 1-3/8 in. 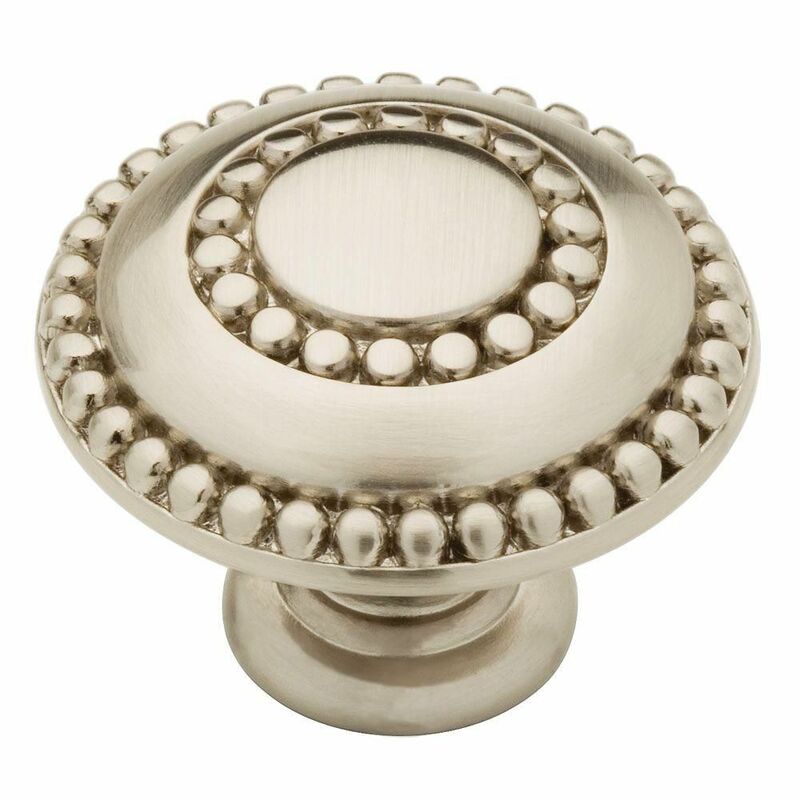 Satin-Nickel Double-Beaded knob is easy to install. The beaded detail can make a beautiful statement in any bathroom or kitchen. Installation hardware included. 1-3/8 in. Double Beaded Knob is rated 4.8 out of 5 by 26. Rated 5 out of 5 by HomeDepotCustomer from My guys made installation look easy. It Gabe’s the kitchen... My guys made installation look easy. It Gabe’s the kitchen a great finished look. Rated 5 out of 5 by Happycustomer from Very nice knobs. I love the feel and look of... Very nice knobs. I love the feel and look of the design! Rated 5 out of 5 by Linda from Updated look for my kitchen—beautiful with the maple cabinets!... Updated look for my kitchen—beautiful with the maple cabinets! Rated 5 out of 5 by HomeDepotCustomer from Only expensive side but the quality is great I need... Only expensive side but the quality is great I need more.